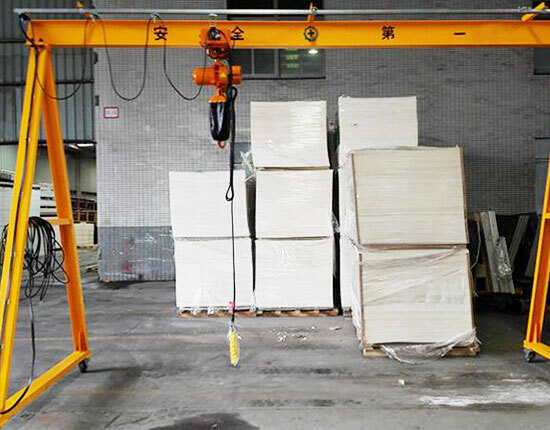 4 ton gantry crane is ideal for getting your lightweight lifting jobs done quickly and safely, and it is widely used in a range of indoor and open workplaces, such as machine shop, warehouse, construction site, railroad terminals, storage yard and shipyard. Through the use of gantry crane 4 ton, it will bring the productivity of your business to a new level as well as ensure the staff safety during the whole operation process. 4 ton gantry cranes manufactured by our factory are under strict inspection and monitoring by our specialists, so you can rest assured that our products are with top quality and high reliability. Single girder 4 ton gantry crane: served as a typical crane in varied industries, it provides great power for your light duty lifting applications. With respect to gantry frame construction, the single girder gantry crane can be divided into A frame gantry crane and L-shaped gantry crane, and each style is designed for a specific purpose. 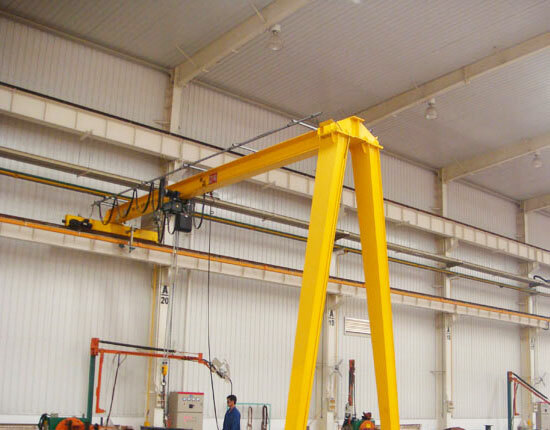 4 ton semi gantry crane: also known as single leg gantry crane, it is a perfect solution for some potential crane users as they have limited space in their facilities. The half overhead crane and half gantry crane design can effectively save more work space for crane users, thus saving a great deal of additional costs for them. 4 ton truss gantry crane: truss gantry crane can be applied in some workplaces where box type gantry crane is inappropriate. The truss structure is designed to suit certain circumstances, such as strong winds and sandstorms. Compared with box type gantry crane, this gantry lifting system requires more maintenance work due to a large number of welding points. 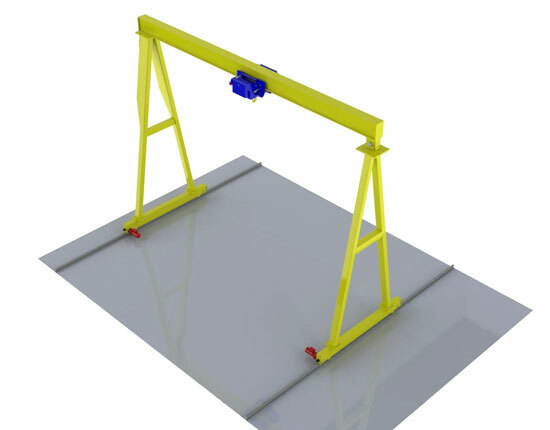 4 ton cantilever gantry crane: the gantry lifting equipment can extend beyond one end or both ends of the main beam in order to cover larger working areas. Besides, gantry crane with cantilever also makes it convenient to load and unload goods at the end of cantilever without disturbing the normal lifting operations under main beam. Therefore, it can significantly increase production of your workshop. 4 ton portable gantry crane: the wheel mounted gantry crane provides high portability and convenience for your lifting of products or goods for that it can be positioned anywhere within your working areas easily. The easy assembly and disassembly also make it convenient to relocate the crane in other workplaces. Our portable gantry crane can be made of either solid steel or lightweight aluminum. 4 ton aluminum gantry crane has high corrosion resistance, whereas steel gantry crane has a sturdy structure. With respect to ease of use, we have fixed gantry crane and adjustable gantry crane for you to choose from. 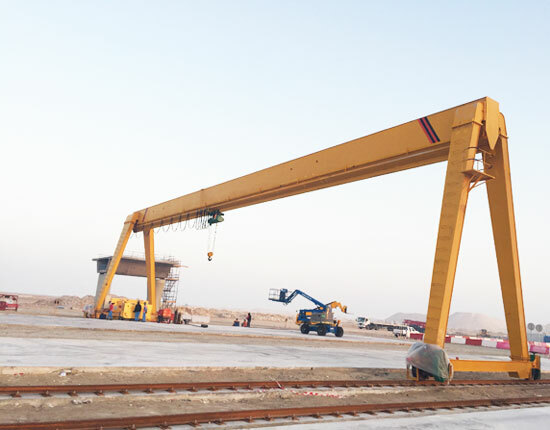 For long-term consideration that you may expand your business, we also provide double girder gantry crane, heavy duty gantry crane, rail mounted gantry crane and rubber tyed gantry crane with lifting capacity in a range of a couple of tons to hundreds of tons to cater to your further heavy duty lifting needs. To know more about 4 ton gantry crane, contact us online. Our customer service staff are ready to answer your questions and offer affordable lifting solutions to you. Why Should You Use 4 Ton Gantry Crane? The gantry lifting system can be a cost-efficient solution in contrast to overhead crane for that it does not need additional construction of columns and elevated runway beam, thus it can save some construction costs for you. 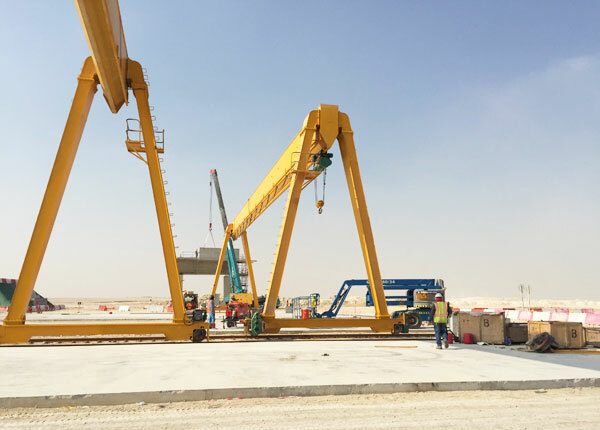 By mounting on different types of wheels, the gantry crane can suit varied ground surfaces and provide convenience for your lifting operations. The gantry crane lifting system can adapt for varied sectors and fields and realize a high utilization. Gantry crane can bring high level of efficiency and safety to your operations. Incorporating the use of quality components and advanced processing equipment, our gantry crane is with excellent quality and durable performance. The gantry crane has smooth movement and low noise during operation. For your special lifting requirements, we provide customized design. 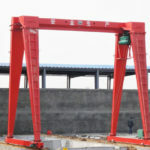 How to Select A Proper 4 Ton Gantry Crane? 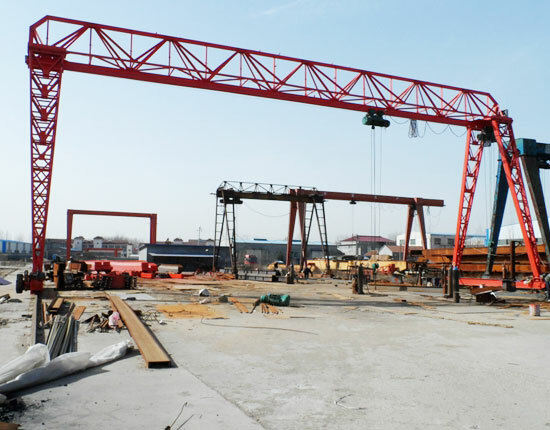 When looking for a gantry crane 4t, customers should have a basic understanding of different gantry crane types as well as answer certain questions involving gantry crane specification, size and model. It will be very helpful for you to make the smart decision. Where the 4 ton gantry crane will be used? What kind of material is going to be handled? You must make sure that 4 ton gantry crane is strong enough to implement lifting tasks in your factory. The span and height needed for your 4 ton gantry crane. They are critical elements determining the size of your equipment. Consider if there are safety hazards in your workplace. For safety consideration, you crane will be equipped with certain protection devices. Which way do you prefer to make the crane move, running on rails or wheels? If you have not determined which type can best suit your needs, contact us online or call us now. We aim to solve any problems you have and help you make the best purchase. With years of manufacturing experience, we can provide quality 4 ton gantry crane with the most competitive price. Although there are various types of gantry crane available in the market, they are generally the same in structure, which mainly consists of main beam, end beam, supporting legs, end carriages, hoist trolley, crane running mechanism and electric control system. 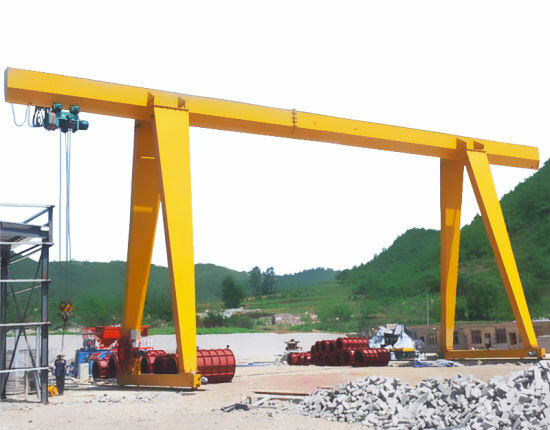 With regard to your crane application, working environment, frequency of use and safety consideration, the gantry crane equipment will adopt the optimal design options so that it can create the maximum value for you. Through our efforts, we hope to build a stable and solid relationship with our clients and realize a win-win situation for both of us. 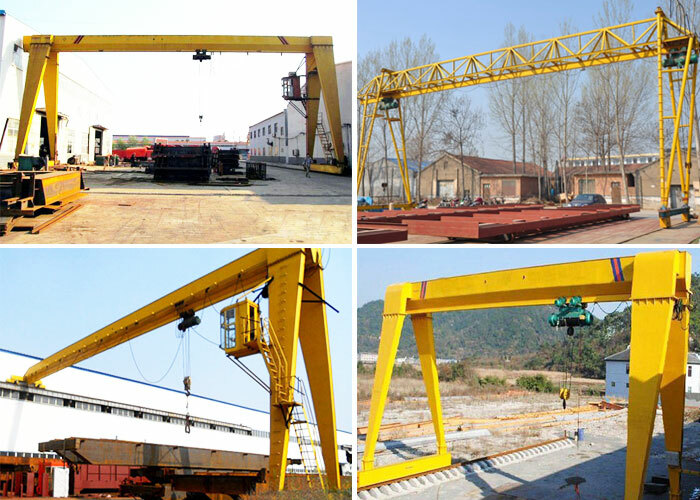 We are seasoned and reputable gantry crane manufacturer in China, and always offer dependable service to customers. If you have any questions about 4 ton gantry crane, welcome to contact us online or leave a message. A prompt reply will be given within 24 hours.